How To Create Bodyweight Workouts During Economic Crisis - For Free! Due to the current economic situation, more and more people are finding themselves showing up less to their gyms. I'm here to show you the power of a good bodyweight workout - it's free and it works! Due to the current economic situation, more and more people are finding themselves showing up less and less frequently to their gyms. Some are also turning to food for comfort, which only compounds the problem causing extra weight to be gained. Think your options are limited right now? You might want to think again. Even if you can&apos;t make it to the gym to get in your usual workouts, you can have great success working out right in the comfort of your own home using bodyweight workouts that are geared toward your goals. More and more people are starting to venture into this type of training as these workouts can be performed quickly anywhere you have some open space. Not only that, but they&apos;re challenging as well. Many individuals overlook just how hard bodyweight exercises can be when performed correctly, instead opting to think lifting heavy weights is the only way to get in a good workout. While an intense weight lifting program definitely does have its place in your overall health and fitness long-term plan, bodyweight exercises can also help you push your physical limits further. Push Your Physical Limits Further. In order to maximize the results you are getting from your bodyweight workouts, you will need to remember some important key principles. 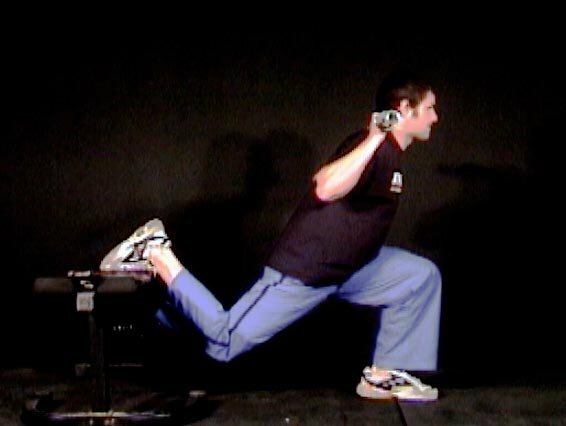 "You want your bodyweight exercises to use multiple muscle groups, just as you would with your strength training workouts," says Craig Ballantyne, who incorporates many bodyweight exercises into his Turbulence Training workout program. "The great thing about bodyweight exercises is that you get more &apos;mobility&apos; demands in most exercises, so that helps the body become more athletic. So many people are doing the same thing over and over again with their jobs (office workers, construction workers, etc), so breaking away from this movement pattern really helps the body," continues Craig. Is That You Get More &apos;Mobility&apos; Demands In Most Exercises. As many of you reading this are already well aware, one of the key tricks to breaking out of a plateau is changing up your workouts, whether this means performing a different set range, different exercise selection, different exercise order or a different split. 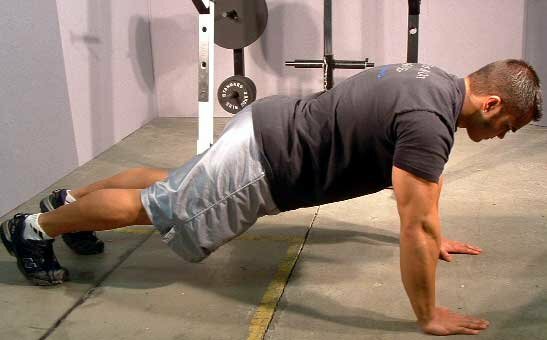 By turning to bodyweight exercises, you really throw a lot of dynamic work in there, which will really give your body something it isn&apos;t used to. 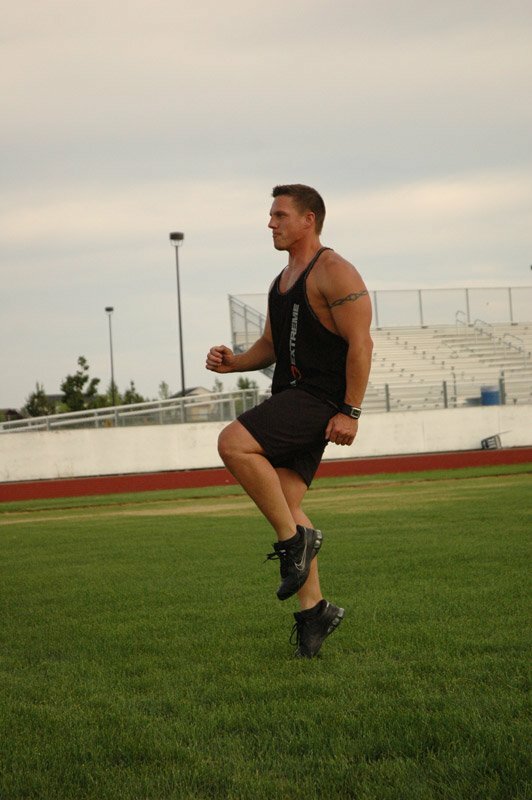 "When we&apos;re doing the same actions over and over again, day in and day out, it will lead to overuse problems or immobility, but the bodyweight exercises will take us through more movement patterns than most traditional weight training exercises will," explains Craig. In addition to just using your own bodyweight when performing your workouts, you can additionally make them more effective by incorporating in one of the many props that are now available. Such examples would be exercise balls, bosu balls, medicine balls, resistance tubing, or a weighted vest. Each of these will help boost the intensity of the workout, and are available at a very low cost for those who wish to use them. If you&apos;re primarily looking to lose body fat at the moment, the following advanced circuit will take around 30 minutes and will help you burn calories as well as strengthen all the major muscle groups in the body. "You&apos;ll do this eight exercise circuit three times in a workout. Rest one minute at the end of each circuit, but don&apos;t rest between exercises," instructs Craig. Click Here For A Printable Log Of This Sample Bodyweight Circuit. 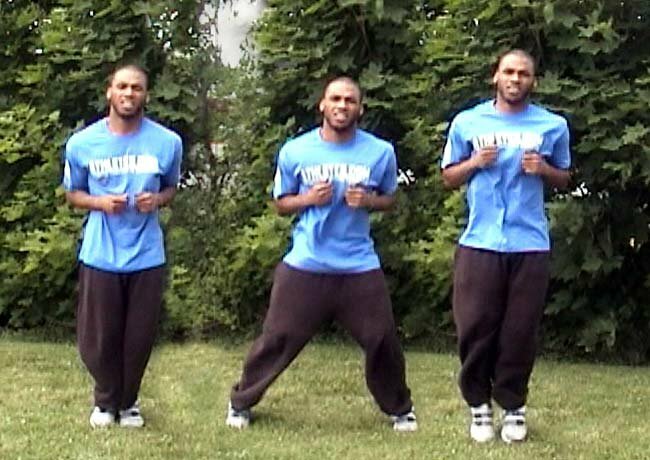 Be sure when going through this sequence of exercises that you&apos;re also performing a good warm-up and cool-down with some stretching exercises. Now, if your main goal happens to be muscle building, don&apos;t think that you can&apos;t incorporate bodyweight workouts into your program to help you reach this goal. "You can still build muscle with bodyweight exercises, assuming of course, you&apos;re not an amateur bodybuilder," assures Craig. You Can Still Build Muscle With Bodyweight Exercises. Once you get to a certain level with your training, then yes, you will need to be applying a heavy overloading stimulus through weight training, but for most individuals, a bodyweight workout can still pose a challenge. When it comes to exercises you should incorporate in to the program, "dips and pull-ups are the best upper body exercises, although you can make many push-up variations challenging as well," says Craig. 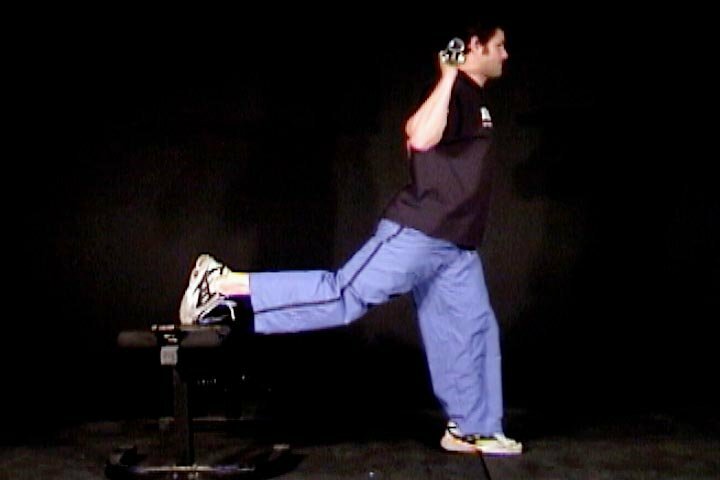 "Lower body exercises should include single leg squats as well as step-ups." 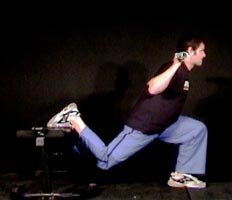 Don&apos;t forget as well that you can also alter the speed in which you execute the movements, which will additionally serve to help increase the intensity of the bodyweight workout. Now, while there are a number of techniques you can incorporate in that will deliver results, there are some things people are doing that aren&apos;t going to be the most effective. 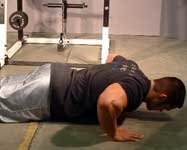 By zeroing in on what&apos;s not working and replacing it with techniques that will, you&apos;ll make your current bodyweight workout that much more effective. 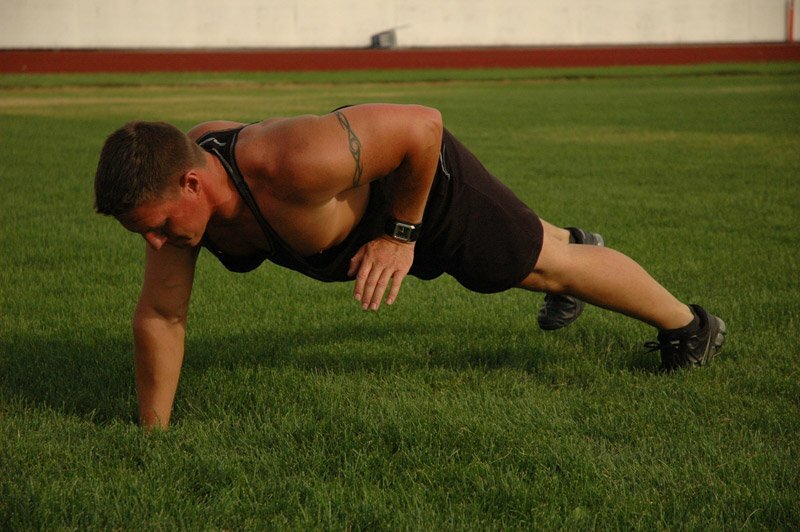 The first thing you&apos;ll want to do is always be sure you are changing up your bodyweight workout. Don&apos;t get into the habit of performing a standard routine of bodyweight squats, followed by dips, followed by push-ups, and then finishing up with sit-ups. While this might give you a good workout for the first week or two, after that, the body is going to need a change to keep progressing. "Never do plain vanilla push-ups, crunches and lunges," instructs Craig. "Watch some YouTube videos (Craig has a large selection to help you) to get some ideas if you&apos;re stuck." Switching up your workout will not only help to reduce the chances of plateau, but it&apos;s also going to prevent overuse injuries from taking place. [ Click here to learn more. ] Stuck In A Plateau? Bust Through! If you are having problems getting out of a plateau then the five strategies I&apos;ve put together here will help you break through to a new level of training and growth. In addition to this, you should also avoid taking too long of rest periods between the exercises you&apos;re completing. One of the beneficial aspects that bodyweight workouts have to offer is the increase in intensity due to the fast-paced nature of these workouts, so try and get through only taking the rest breaks as instructed. 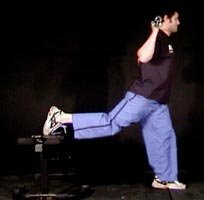 Do remember though that using proper form will also trump speed, so if you find your form is going because you&apos;re fatiguing too much, take a short break to make sure you can perform the exercise properly. Finally, if you&apos;re going to use a bodyweight workout for a few weeks or longer, you&apos;re going to want to be sure you plan the overall workout scheme correctly. How much rest is needed between each bodyweight workout will vary depending on which exercises and rep range you choose to do, as well as what your current fitness level is, says Craig. "If you do want to train two days in a row, the best thing is to focus on different movements and body parts." Just as with regular weight training workouts, it&apos;s going to be important to allow enough time for your body to recover and build back stronger, so be sure you don&apos;t overlook this fact. For Your Body To Recover And Build Back Stronger. So, if getting to the gym right now is not an option for you, don&apos;t let this be a barrier to maintaining or improving your current fitness level. With a little creativity, you can continue to challenge yourself and get good results in the process. [ Click here to learn more. ] How A Bad Economy Can Make You Fat And The Skills To Fight It! Whether you want to admit it or not, our personal financial position in life does impact how we feel ... Build smart stress skills now! 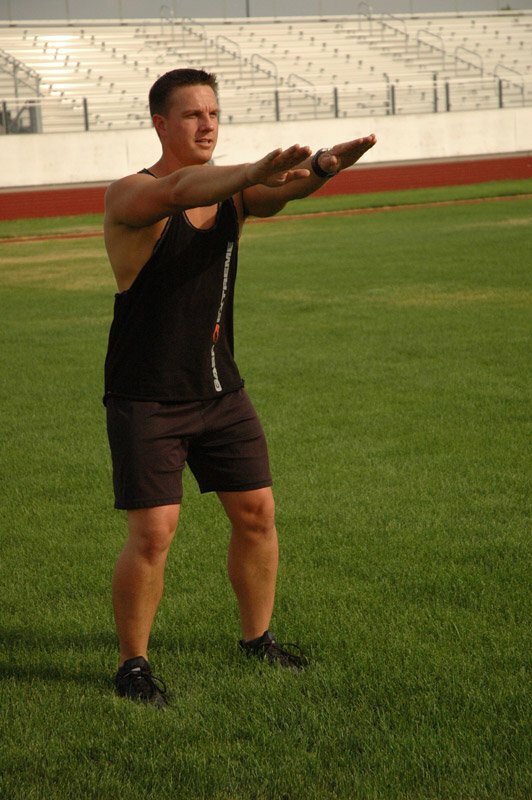 For more information on Craig or his training program, pleases visit www.Turbulencetraining.com.